We’re dedicated to producing work that gets you noticed and wins you customers. We have a commitment to earning and building strong relationships, an unmatched foundation of experience and know-how, and a creative culture of problem solving. You will find we hold ourselves to a higher standard to meet or exceed your expectations. 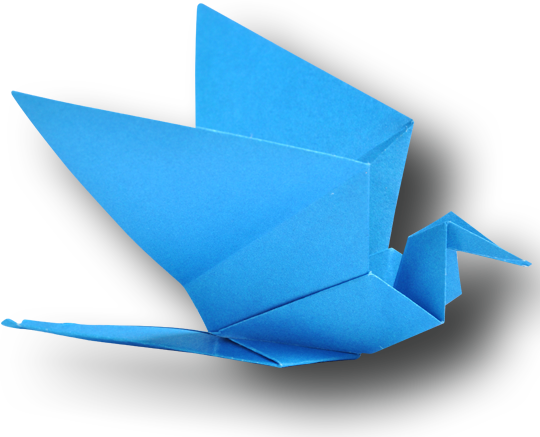 We’re creative in all ways, not just design and copy, but also in solving your problems and tackling your challenges. We offer you one-stop expertise for all your marketing challenges. Above all, we put your needs first. You’ll get first rate service during every interaction. 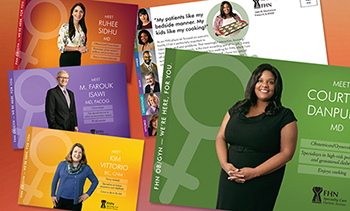 The OB/GYN team at FHN got a little personal in a recent postcard campaign, sharing their individual hobbies and interests along with a summary of their broad capabilities. The nine-piece Addy Award winning campaign vividly introduced the providers to a regional audience. When a company converts copy into over 80 languages, finding the right words may seem like a complicated endeavor. 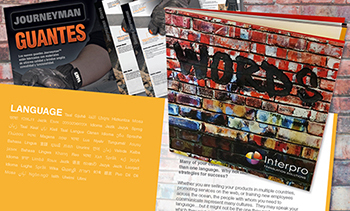 M45 helped make it easy with their Addy Award winning brochure that touts Interpro’s world-class language translation services for global clients. Location, location, location. 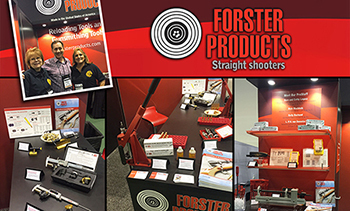 A new tradeshow floor location and a new booth designed by M45 helped long-time client Forster Products get their message out to the 64,000 industry professionals at the 2017 SHOT Show held earlier this year in Las Vegas. We know that our work affects your image, your satisfaction, and your customers’ decisions to use your products and to make purchases. In short, our output directly touches real, live customers like you, and we take that responsibility very seriously. We are proud to make you and your business look good! You can trust M45 to develop your distinctive plan based on your specific culture and needs. Our team of seasoned and proven marketing professionals will help you decide which of many options are right for you, whether it's public relations, advertising, tradeshows, technical documentation, social media, mobile ready websites, videos or Google AdWords. We provide you with individual attention that reflects our customer service philosophy that your success equals our success. You can count on us to use our creativity, experience, and enthusiasm to give you the type of service you deserve and expect. You come first on our priority list. We have been working for more than 15 years to help our customers compete successfully. We develop smart solutions and put fresh ideas to work to make your company stand out. Whether your business needs just a new look or a completely new outlook, we can help. M45 Marketing Services is a full-service agency that can integrate and implement all aspects of your company’s marketing efforts from strategic planning to promotion to product documentation and evaluating customer satisfaction.  – Enthusiasm and genuine interest in helping you succeed!